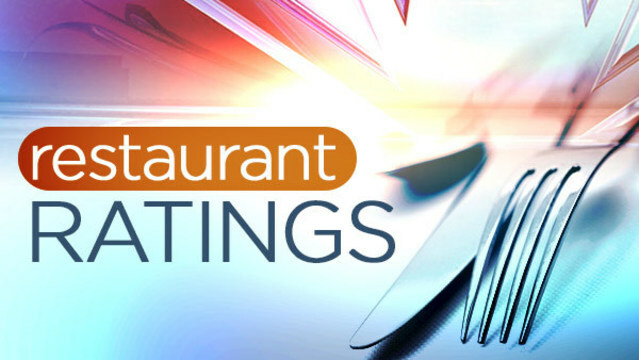 TAMPA, Fla. (WFLA) - The following Tampa Bay area restaurants received the most violations during inspections conducted Dec. 24 to Dec. 29. Potentially hazardous cold food was held at greater than 41 degrees Fahrenheit. This included: ham and cheese 63°F, cut tomatoes 49°F, cut raw chicken 49°F, diced raw chicken 49°F, spinach dip 49°F, white rice 49°F, gyro meat 49°F and cheese 49°F. Dead roaches were found on the premises. The cutting board has deep cut marks and is no longer cleanable. Raw chicken was stored over dough in the walk in cooler. Potentially hazardous cold food was held at greater than 41 degrees Fahrenheit. This included: cut tomatoes 50°F, feta cheese 51°F, cooked artichokes 50°F and cooked pasta 47°F. The floor was soiled with an accumulation of debris in the kitchen, dishwashing and storage areas. One large, gray, dead rodent was found in an old walk-in cooler in the kitchen/prep area. Raw bacon was stored over ready-to-eat cheese and butter packets in the reach in cooler. Rodent activity was present as evidenced by rodent droppings found. Approximately 50 small, dark, dry and hard droppings were found inside of an old, unused walk in cooler, 20 dry and hard droppings were found in the dry storage area, 8 were found in the old bathroom, 5 on the self in front buffet area and 10 rodent droppings were found by the reach in cooler. Raw shell eggs and raw beef were stored over cooked potatoes. Hot water was not provided at the employee hand wash sink in the kitchen. Food was stored on floor. This includes a bag of onions in the kitchen and creamy soybean pan of shortening in the dry storage area. Potentially hazardous cold food was held at greater than 41 degrees Fahrenheit. This included: cut lettuce 60°F, diced tomatoes 48°F, shredded cheese 50°F, shredded lettuce 51°F, raw chicken 49°F; cooked noodles 52°F, cooked mixed vegetables 51°F, cooked rice 50°F and buttermilk 45°F. Rodent activity was present as evidenced by rodent droppings found. This included 9 hard and brittle rodent droppings by dry storage racks. A employee washed their hands for less than 10 seconds with hot water and soap before handling clean dishes/utensils. An accumulation of black/green mold-like substance was found in the interior of the ice machine. Ready-to-eat, potentially hazardous food marked with a date that exceeds 7 days after opening or preparation was found. This included: potato salad, black beans, garbanzo beans, pulled pork, cooked rice, tzatziki, coleslaw, chili, cooked pork and meatball pasta. Food was stored on floor. This included: fryer oil, cut potatoes and steak sauce. Food was stored outside. In one reach in cooler, chili and vegetables were found, in another reach in cooler bread, fries, bacon, chicken and hot dogs were found. An employee drank a container of Five Hour Energy with gloves on and then did not change their gloves or wash hands before engaging in food preparation. An employee with a inflamed-like elongated vertical wound on her arm did not have two layers of impermeable protection on the wound. The exterior of the sauce and seasoning bottles had a build-up of food debris, dust and dirt. A Stop Sale was issued due to food not being in a wholesome, sound condition. Ready-to-eat, potentially hazardous food marked with a date that exceeds 7 days after opening and preparation. This included: cooked beef stew, curry chicken, cooked pull pork and cooked brown gravy. The interior of the microwave was soiled with encrusted food debris.